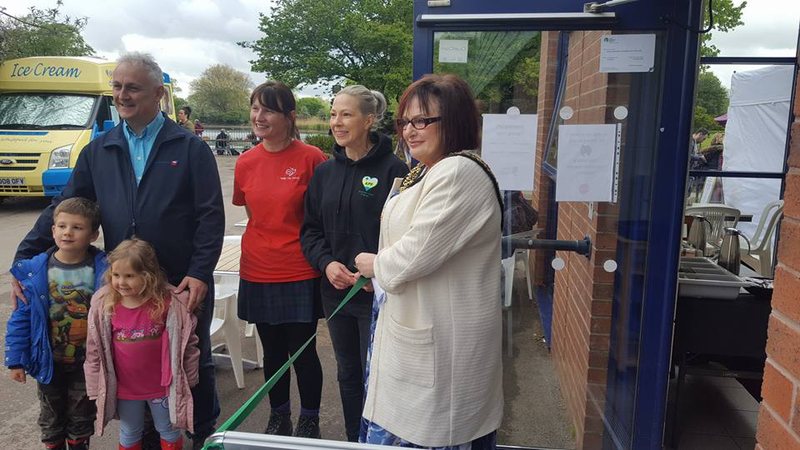 The official grand opening of the Waterside Cafe took place on Monday May 1st. The day was a resounding success with plenty of fun activities offered and our customary splendid display of model boats provided by the Alvaston Pirates. The proceeds of the barbecue amounted to £400 and this was donated to the Alvaston Park Friends Group - we are extremely grateful to Derby Live for this very kind and generous gesture.